When you see Victoria Beckham in flats you know there's something special about them! She was recently spotted wearing Manolo Blahnik Monk Shoes, a masculine black shoe with buckle detailing, a far cry from her usual sky high heels. There's something about these masculine shoes that I really love, the comfort factor is definitely one point, but their ability to instantly transform the vibe of an outfit is the biggest. 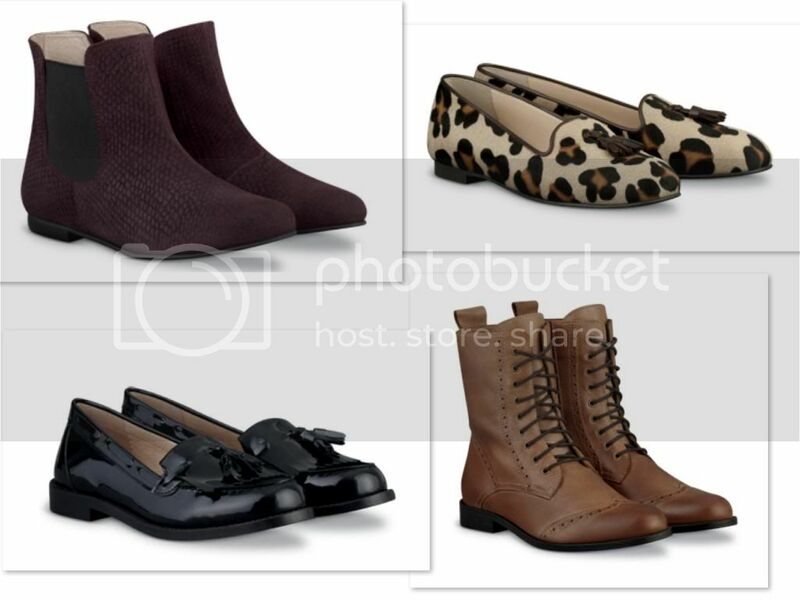 Whereas heels give a girly touch, masculine shoes whether Monk, Loafer or Brogue styles add that grungey, toughened edge. 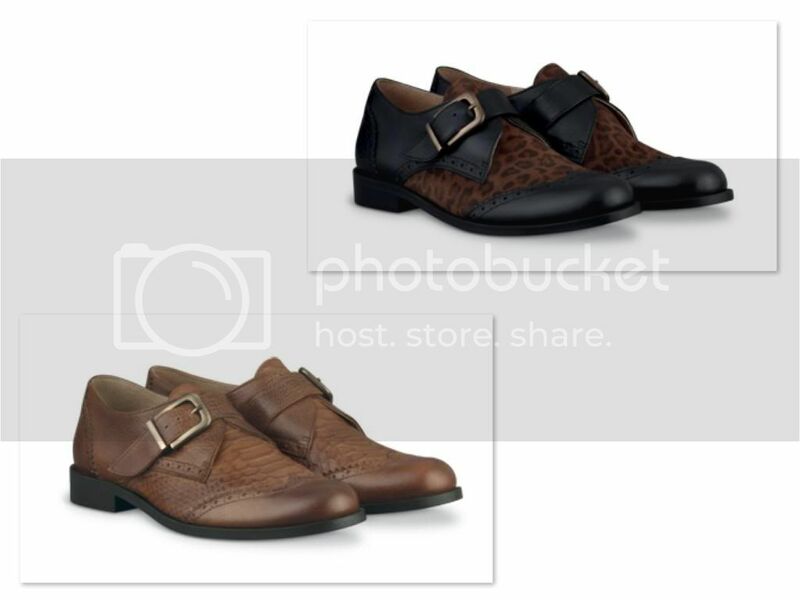 I absolutely LOVE the Fontaine Monk shoes. They are so unique and different to anything i've seen on the high street. They'd be great to pair with some cigarette trousers or tights and a dress. The deep purple wine colour of these Boots is perfect for Autumn and the style is a great twist on the heeled chelsea boots for those of you who prefer a flat boot for the winter. I live in slipper shoes at the moment and these Leopard Print ones are so cute! They're a great way to inject some print into your outfits. The style is really comfy and easy to wear with everything from jeans to disco pants. DUO is a brand which focuses on high quality footwear with sophisticated styling, nodding to current trends rather than being a slave to them. All of their boots are uniquely made-to-measure, in up to 21 calf sizes and 3 widths, so there is definitely a boot for everyone, especially if you struggle finding them on the high street. They have some stunning riding boot styles which are great to pair with some jodhpurs and a cosy fur collared jacket for the coming winter months. What do you think of Ladies boots by Duo Boots? Thank you lovely! You know something has the seal of approval when VB adorns it! Hi dear, nice blog :) follow each other? Thank you! I live in loafers at work, they're so comfy.